"Yakusugi" is a generic name of a natural cryptomeria which grows up in the Yaku island. 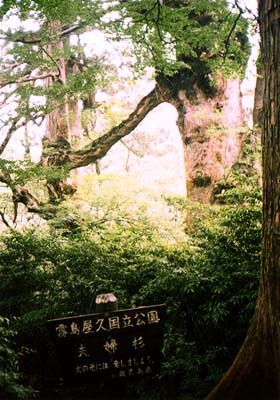 Especially, more than 1000 year age of a tree is called "Yakusugi". They are distributed within the range to about 1800m every above sea level 500m. The longevity of "Yakusugi" are very long, they have the longevity of more than 2000 years. 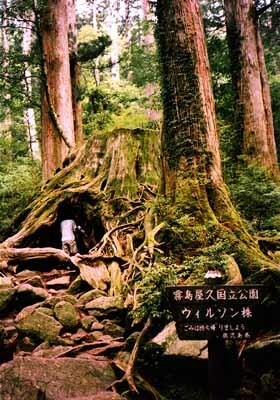 Each big "Yakusugi" have a peculiar name.Jomon-sugi Cedar is a typical tree also in that. 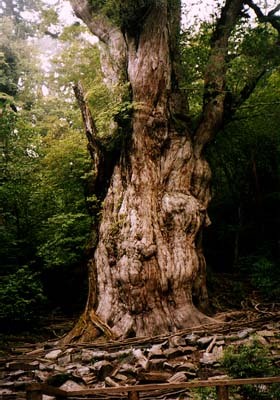 Jomon-sugi Cedar's height is 25.3m, the diameter is 5.2m, and surroundings of the trunk are 16.2m. 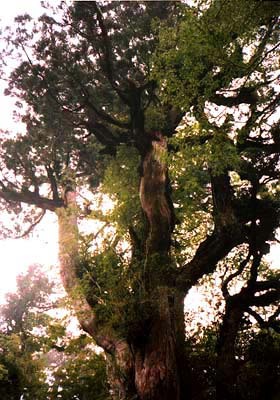 The origin of the tree goes back even to the Jomon age (about 1000 at B.C.). The age is judged 2000 years or more, there is a theory that the age is 7200 in the inside, too. Jomon-sugi Cedar has an overwhelming sense of existence. All the persons who visit here are impressed by the appearance. 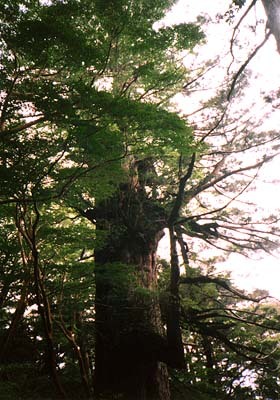 Wilson 's Stump is a big stump that has 13.8m surrounding length. Several men can enter in the stump. "Yakusugi" does not rot easily very much. The reason is that quite a lot of resins are included in the trunk. Therefore, this stump does not rot for a long time either.